Duan Leilei is trained as a physician and also holds post-graduate qualifications in public health management and epidemiology. She worked as a physician for seven years before joining the China Centers for Disease Control (CDC). She is now the Director of the Injury Prevention Division of the National Centre for Chronic and Non-communicable Disease Control and Prevention, China CDC. 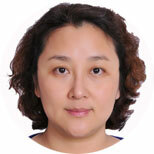 Her research interests are injury surveillance, road traffic injury, child injury, elderly falls, and violence. Leilei's major achievements include being involved in establishing the National Injury Surveillance System (NISS) in China, conducting research on national road safety status, a study on childhood pedestrian injury in three cities in China, conducting two rounds of pilot injury intervention projects for establishing and scaling up the best practice of injury prevention in China, and establishing the national guidelines on child road traffic injury intervention. She is the national data coordinator of the global status report on road safety and the global status report on violence prevention, as well as the national focal person for WHO on injury prevention in China.